THe buzzword in the political lexicon lately has been calls for the restructuring of the country. While some people are of the opinion that Nigeria needs true federalism, others say the country needs fiscal federalism. But, for me as a concern daughter of Anambra State, I stand for the restructuring of the All Progressives Grand Alliance (APGA) ahead of next year’s gubernatorial election in the state and 2019 general elections. This is a call borne out of a desire to ensure that Anambra State under APGA does not rescind back from its emerging glory. The kind of restructuring I’m canvassing is two pronged; APGA should be restructured. Secondly, the state cabinet as overseen by Governor Willie Obiano should be reshuffled to include those who worked hard towards the governor’s election rather than what we have today where the cabinet is a reflection of those I prefer to refer to as ‘foreigners’. This set of people allegedly were not part of the footsoldiers during the 2013 elections that brought the governor to power. The cabinet should be restructured because right from the era of Obi to the present government, the state has remained unique. Like people who have different political interests, Anambra was the base of APGA in the same way Alliance For Democracy, (AD) – which metamorphosed to Action Congress (AC) and later Action Congress of Nigeria (ACN), which served the South West before it coalesced with Congress For Progressive Change (CPC) and other political parties to form what we have at the centre as All Progressives Congress (APC). 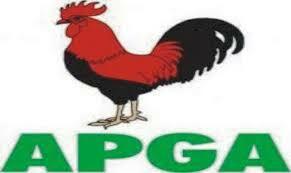 I feel the same transition should take place in APGA. The party should be repositioned to a wholly national party by opening it up for a fresh membership drive that would incorporate Nigerians from the six geo-political zones. It can retain its original name or change to a new one. During the administration of Peter Obi and Victor Umeh as then Chair of APGA, we had a lot of eminent Nigerians who identified with the party from the Peoples Democratic Party (PDP) because of Obi’s mien. He was one governor that portrayed the party in a national light perhaps due to what he went through to retrieve his stolen mandate from the court. Nigerians were not only interested in him but also gave him a lot of support. In his quest to ensure Anambra State remained united under APGA, he worked assiduously towards the election of Chief Willie Obiano and the people of the state were not opposed to it. The people were of the view that since Obi was behind Obiano’s candidature and election, they must support the continuity of his good governance. All these alongside Chief Victor Umeh were legacies of Obi aimed at ensuring APGA remained relevant in the political equation of Nigeria. I charge all Anambra indigenes despite the shortcomings to extend the spirit of unity that existed between Obi and Umeh to Obiano. This is essential because both men have had cognate experience of what it takes to be a political leader and they should use their vast experience in politics to the benefit of all Anambra people by moving closer to Obiano to find ways they can contribute to the continuity of development of the State in spite of their different political leanings. The purpose of governance is to provide service to the people and I believe strongly that Obiano is in government today to ensure the best for the people of the State and perhaps surpass what Peter Obi has done. The Governor should equally be ready to learn from the past leaders of the state to gain insights on how to make the state the Dubai of Africa. People like Ezeife who understand the polity; Obi, Umeh, past Commissioners and other people of integrity from the state can be consulted for wise counsel on periodical basis with an objective of forming a coalition with the present government to build a new Anambra State. If these eggheads of Anambra politics are incorporated into governance of the state, there is no problem in the state that can evade solution. Regrettably, what we have today in Anambra State are leaders who rode to power on the back of a political godfather ignoring past leaders after mounting the saddle and no nation has grown without plotting where they were coming from with a view to pointing where they want to be in future. In every political dispensation, there must be someone who aids another to power. And former President Olusegun Obasanjo lent credence to this fact when he was accused of being behind former President Goodluck Jonathan whose government was allegedly described as clueless and corrupt. He said, “No one who has ever ridden to power, who was not helped by someone.” No one comes to power straight from Adam. It is someone that would recommend and the person who recommends is one’s godfather. The most important thing is how to choose from the recommendations, people of integrity that would render service to the electorate, not charlatans and political jobbers. If these political jobbers are allowed in Anambra State government, the state would go back to its old ways of political mayhem and it will not be in the interest of the grassroots people who mostly bear the brunt of any misrule. My concern for restructuring of APGA stems from two angles; it was positioned as a regional party for South Easterners and those who fell in love with it did so because of its founder and late Biafra warlord, Ikemba Odimegwu Ojukwu and Chief Victor Umeh who was the party’s erstwhile chair. *Dr. Okereke writes from Awka.